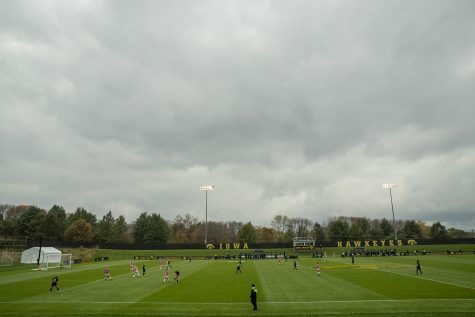 Iowa soccer to face offensive, defensive challenges on road trip. 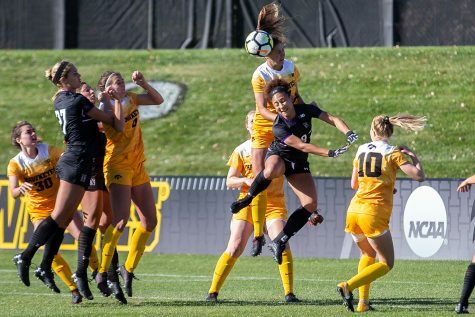 The Hawkeyes will take on Utah State today and Montana Sept. 6. 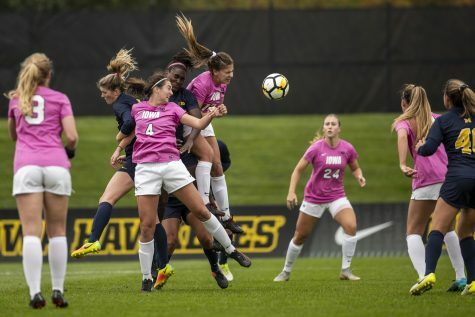 Tuesday’s overtime win against Northern Iowa improved the Hawkeyes’ record to 3-0-0, making them one of three undefeated teams left in the Big Ten. Both Rutgers and Illinois are 4-0-0. 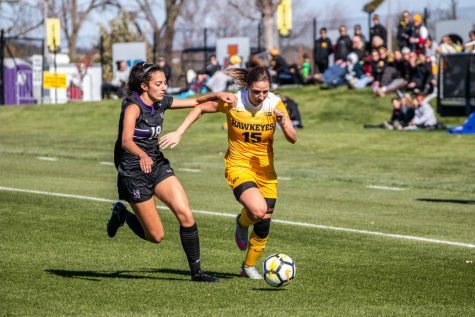 Iowa’s offense is averaging more than 17.5 shots per game and has compiled seven goals through its first three games, but it will face a challenge against Utah State. 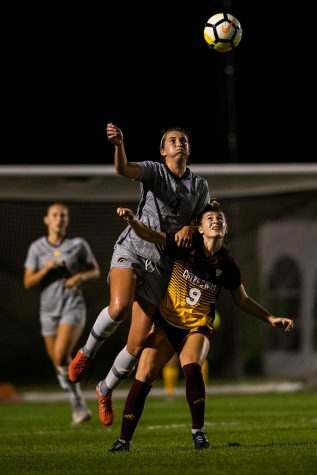 Aggies sophomore Rachelle Warner was named the Mountain West Defensive Player of the Week on Monday. Playing every minute of the season, she has led the Aggies’ defense to allowing only 9.75 shots a game. 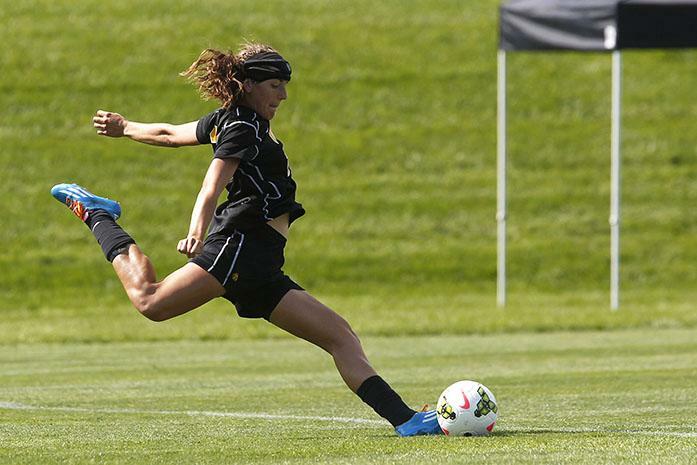 Additionally, the only goal Utah State has given up in 2015 was in a 1-0 loss against Utah Valley. Montana will bring a more offensive approach to its meeting with Iowa. Although the Grizzlies bring a 2-1-1 record to the match, they have scored six goals in its past three games. Similar to Utah State, it will be an interesting matchup. 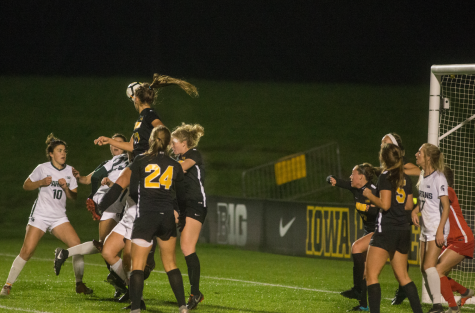 The Hawkeyes’ defense averages just nine shots allowed per game and has only one goal scored against them thus far. 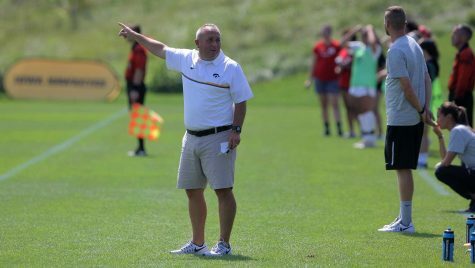 After this weekend, the Hawkeyes will return to Iowa City to take on Iowa State in the Iowa Corn Cy-Hawk series Sept. 11. 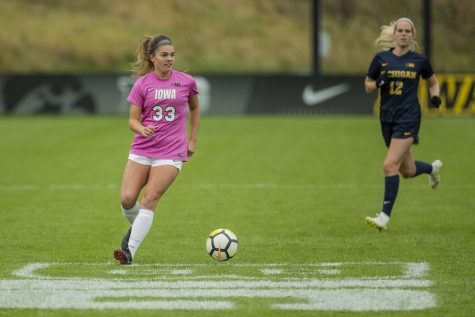 Follow @cbomb12 on Twitter for news, analysis, and updates on the Iowa women’s soccer team.